With the news that the UK has voted to leave the EU, I had a few questions from concerned customers asking whether this decision will affect their travels this year. To reassure you that your holiday is in safe hands, below are some of the questions you might have, and our answers. We’ll always let you know of any changes to your booking and if you have any other questions, remember that your Travel Counsellor is happy to chat through any queries you have. 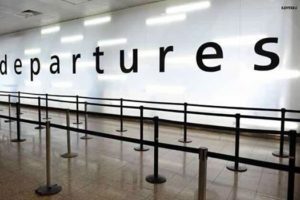 Can I still travel to countries in the EU? Do I need a visa now? Yes, you can still travel to countries in the EU and you don’t need a visa. When you go on holiday you’ll go through passport control and show your passport, as you normally would. Travel requirements haven’t changed since the day before the referendum, so UK citizens can still travel freely to much of continental Europe. It’s important to remember that the UK is likely to remain a member of the EU for at least two more years. 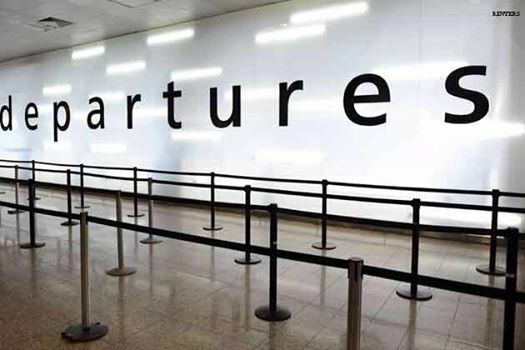 This means that any changes to travel could take a long time to implement, and there’ll be many negotiations over the coming months and years before any changes are finalised. Can I still use my EHIC (European Health Insurance Card)? Yes, you can still use your EHIC to access local health services in all EU countries. My passport has “European Union” printed on it, do I need to apply for a new one? No, you don’t need to apply for a new passport, you can continue to use your existing, valid UK passport. Is my holiday still financially protected? 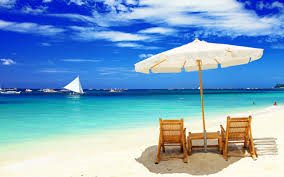 Yes, all holidays booked through your Travel Counsellor are covered by our independent financial trust. How does our trust work? In 2004 we created our own financial trust, which means that alongside our more traditional cover of ATOL (this protects some packages and charter flights) the Travel Counsellors trust also protects scheduled flights, budget airlines, accommodation and even car hire. I’ve already booked my holiday, will it be more expensive now? If you’ve already booked your holiday with your Travel Counsellor, this price will not change. If you’ve received a quote for a holiday from your Travel Counsellor, this price could change. As you’ll have seen on the news, the value of the pound has fluctuated with the outcome of the referendum and so there may be changes to the cost of your holiday. Your Travel Counsellor will be in touch to go through all of the costs with you and will let you know if any of the prices have changed since you last spoke. We’ve already booked our holiday for next year, will this be affected? No, your holiday for next year won’t be affected. This is because the UK is likely to remain a member of the EU for at least two more years. Don’t forget at Travel Counsellors “We Care” and this makes us different and very special. Every month we feature a business of the month and for June we would like to introduce ‘The Purple Ball of Hope’ a charity who has an annual event organised by Jan Lord along with help from the Purple Ball team and her family and friends. For the third year running The Purple Ball of Hope have held a Gala Ball and raised a magnificent sum for Pancreatic Cancer UK. Thanks to everyone who supported the Gala Ball again this year via donations and contributions they have raised a staggering £5387.43p equating to over £18,000 during the last 3 years and with more monies pledged it could be bring the grand total to £20,000. 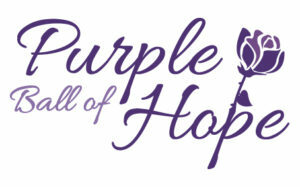 The Gala Ball was held in the ‘Inspiration Suite’ at the Village Hotel in Ashton making everything Purple. The evening of the Purple Ball of Hope 2016 had finally arrived and, with over 180 guests in attendance they were greeted by hosts Jan and Derek Lord as they waited excitedly at the champagne reception. the guests were entertained by the magician in the shadow of the Purple Ball of Hope Memory Tree containing an array of plum, amethyst, violet and purple butterflies each one lovingly holding remembrance messages of past loved ones. The Compare for the evening was now an old friend of the Purple Ball Mr Paul Crone and while the champagne flowed and the meals were served the dinner entertainment provided by X Factor contestant Rick Moorhouse was a pleasant interlude before the serious bidding got underway. Donations were in abundance and topping the auction prizes was a Pele Shirt containing the signature of the man himself, a golfing experience for 4 in the heart of the Cheshire countryside and the ‘Dirty Dancing’ tickets from the Purple prize envelopes that was acquired by a delighted guest ready and eager to watch the show. One of the highlights of the evening was the after dinner entertainment provided by Headline act ‘The Jersey Guys’ who wowed the guests with a variety of ‘4 Seasons Covers and the top songs from the hit musical ‘Grease’. The fantastic evening was concluded by the DJ Dave ‘Double Decks’ Bradley who had everyone on their feet before the events of the inspirational evening came to a close at 1.00pm. Jan and the team are doing it all again next year and the date has been confirmed as Saturday 22nd April 2017 at the Village Hotel, Ashton under Lyne. 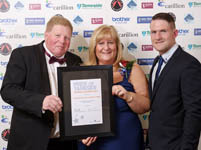 Every month we feature a business that is registered with SavvyGuest.com This month we are pleased to feature Challenger Site Services, an award winning family business based in Ashton-under-Lyne, Tameside. The event season is nearly here and Challenger Site Services are getting their portable toilets ready for the Spring Bank Holiday rush and the many spring and summer events to follow. Challenger are the number one supplier for portable toilet hire in the North West and the award winning family run business aim to deliver on time every time direct to your venue. 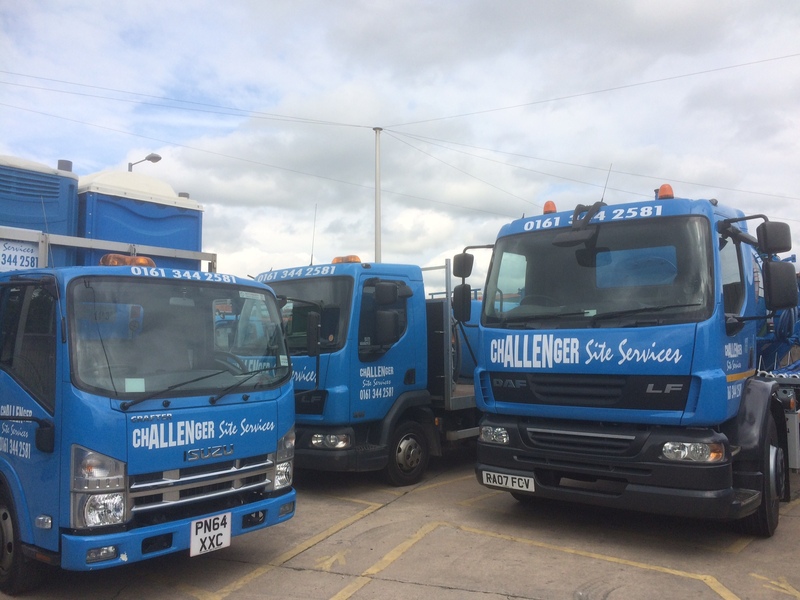 At Challenger Site Services our service is second to none & we upload, position & set up the portable toilets to your exact specifications. The portable toilets are maintained & serviced to exemplary standards & we always sanitise before & after every hire. They are also serviced weekly to ensure our high standards are maintained throughout the hire. Apart from our portable toilets being durable & robust they also have a number of other key features including recirculating chemical flush, integral vents, plastic toilet bowl and seats, optional hot or cold wash basins, & hand operated washing systems. For additional comfort we have also included other key features including liquid soap & paper products, 2 roll toilet roll holders, translucent roof and a coat hook. All our portable toilets also have integral door locks to ensure maximum privacy & security. We also offer the very latest technology in hand wash facilities & flush systems to ensure of a cleaner and odour reduced environment. 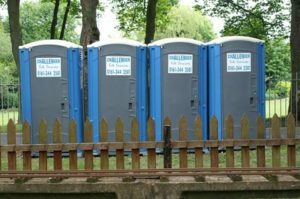 To comply with the British Standard BS 6465 1:2006, 1 Challenger site portable toilet is recommended for up to 7 persons per 40 hour event. During Apprenticeship week we are focussing on an Apprentices. 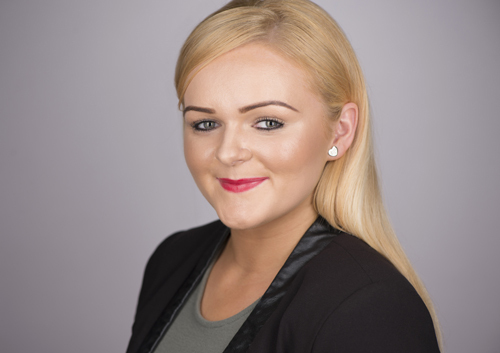 Gemmer Crozier is currently completing her Apprenticeship at Brother UK based in Audenshaw, Tameside. Gemmer explains why she chose an Apprenticeship and her explains her journey so far. “Upon leaving High School I went to Loreto Sixth Form College in Hulme where I studied my A Levels in ICT, Business Studies, Spanish, Sociology and Religious Education. College wasn’t as enjoyable as High School for me and I found it hard to fit into my lessons and didn’t really enjoy studying. However, I successfully completed my studies with 3 A levels all above C when I left. “The whole experience of starting my apprenticeship and working here at Brother UK has been amazing. At first I was reluctant to tell people I had started an Apprenticeship because of the outdated view it has. This was soon outlived after starting Brother UK and now I couldn’t be prouder to be part of the Brother UK organisation. I enjoy the variety of work that I am taking part in. I’m also being given the opportunity to expand my knowledge and learn new skills within different areas of the business and gain the experience I need to progress further. However, I must admit that my role would not be the same without the people and support around me. Gemmer and Brother UK are offering an opportunity on SavvyGuest.com If you are interested in meeting and chatting to Gemmer to find out more about her role at Brother UK, register on our website. Savvy Guest have certainly made an impact this year achieving nominations and being shortlisted in 3 prestigious award categories across the UK. 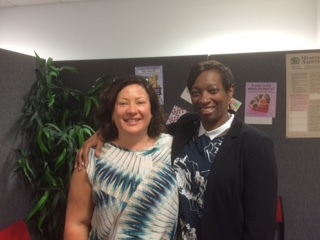 Since we launched the company in March 2014 Savvy Guest has gone from strength to strength. 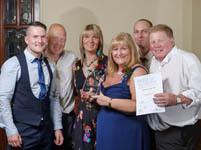 Our 1st nomination was announced in July when we were shortlisted for The Pride of Tameside, Business of the Year in the Creative, Digital and Technological category. 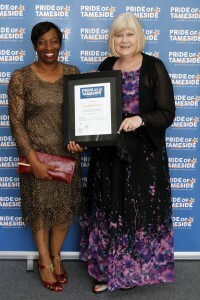 This was closely followed by Savvy Guest being acknowledged in the Precious Awards STEM category and CEO Dijonn Taylor being recognised as one of the finalists for ‘Celebrating the Success Stories of Women of Colour in the Business and Work Environment.’ Now in its 9th year the Precious Awards were held in London and founded by a former Mancunian Foluke Akinlose, MBE. We are also delighted to announce our 3rd nomination is for The Talk of Manchester Business Awards or ToMs. The voting has opened we are excited to have been shortlisted in the Newcomer and Innovation categories. 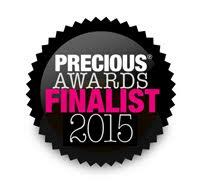 If you wish to vote for us in both categories please click the link below. Voting is open until 6 November and closes at 5.00 pm. This has been an outstanding year for Savvy Guest. We are both humbled and proud to be nominated in so many award categories. The word has spread about the company and the opportunities for individuals having access to employees to discuss their job roles, is proving to be really beneficial for all parties. The opportunity for Companies to become headline sponsors and increasing their company brand awareness through various options is also proving that Savvy Guest is really making its mark. The fashion industry is a tough industry to crack and get ahead. It takes years of experience and connections to get the right breaks and build the career that you dream of. Whether you are just starting out or if you are trying to move up to the next level. The I Feel Experience is here to support you and help you achieve your career and business goals. Here are three tips to help you move forward in your fashion career. Working with the best talent around you and collaborating is the best way to build your portfolio. It also helps you build your network and contacts that will come in handy in the future. Always be available for the next project. Keep your eye out for opportunities within your network and openly share opportunities with your contacts and connections this will really pay off in the long run. Internships and work experience is great for your portfolio. Working for free also gives you an opportunity to prove yourself and you get to meet great industry contacts that can lead to paid work in the future. The I Feel Experience provides opportunities and experience for people that want to get into the fashion and media industries. The I Feel Experience always has opportunities available for a range of fashion talent to get involved in projects and events. Models, Makeup artists, photographers, fashion designers, bloggers and more. Get in contact for a mentoring session with savvy guest and we can start to plan the next steps for your fashion career. We felt very important joining the audience for the radio programme ‘BBC Radio 4 Any Questions Live at The Runway at Manchester Airport Aviation Park. Although our questions didn’t get picked we had the pleasure of meeting the panel and having our photograph taken alongside Liberal Democrat Leader Tim Farron. 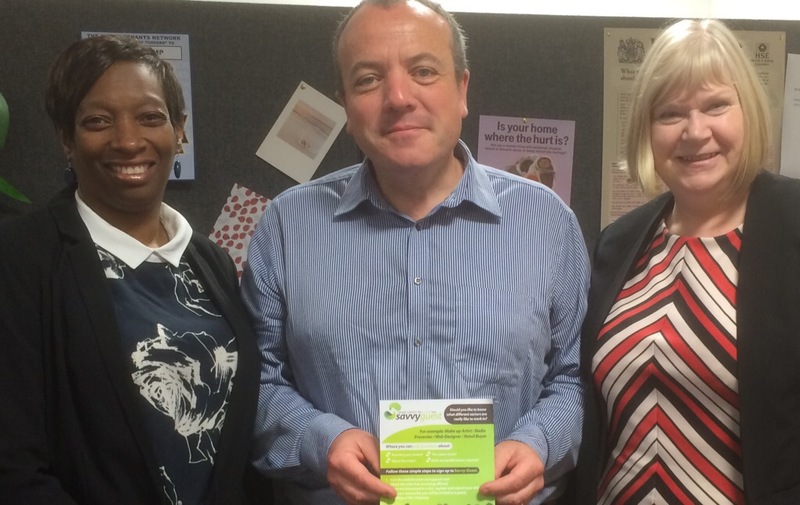 Next stop on the Political line was meeting up with Wythenshawe MP Mike Kane at his constituency office to discuss the community benefits of Savvy Guest before he started his weekly journey to London and the House of Commons. We had a great brew and also met Cllr Suzanne Richards. This month were are pleased to feature The Accountancy People. Owner and Accountant James Sheard has written the blogpost. When I tell people I’m accountant, they glaze over slightly and often say ‘you must be good at maths’, but no, it’s the relationships you have with people that matter. Whilst I do use GCSE Maths, and work with numbers, it is by no means our most important skill. Accountancy is all about interpreting information, often expressed in numbers, analytically, and then explaining this to others so that people can make informed decisions. Unless you have a great relationship of trust others will not seek you out or act on your advice. We all like to do business with people we like, but building a professional relationship is more than this. You have to have a track record of good judgement, to be consistent and you need to spend enough time with people for the relationship to be established. Robust relationships can also withstand disagreement, if the accountants analysis differs from the managing directors ‘gut instinct’, you need to be confident in the relationship to ensure that through discussion and disagreement the best solution for the business can be reached. Accountants can, by their nature, be people who like detail and data. One of the key skills only a few of us possess is to be able to take that data and put it into a format ‘civilians’ can understand that is: usefully summarised, visually appealing and with a valid interpretation of what it means. By summarising in this way data is turned into invaluable information which can then be used to make decisions. In summary the best accountants are good with the numbers, technically competent and great at building relationships of trust. It’s not every day you have a local garage residing in Tameside whose members featured in a BBC2 television documentary, but Guide Bridge MoT & Service Centre just happen to be the stars of the TV screen and have appeared not only once but twice in the last 3 years. How did they manage that? 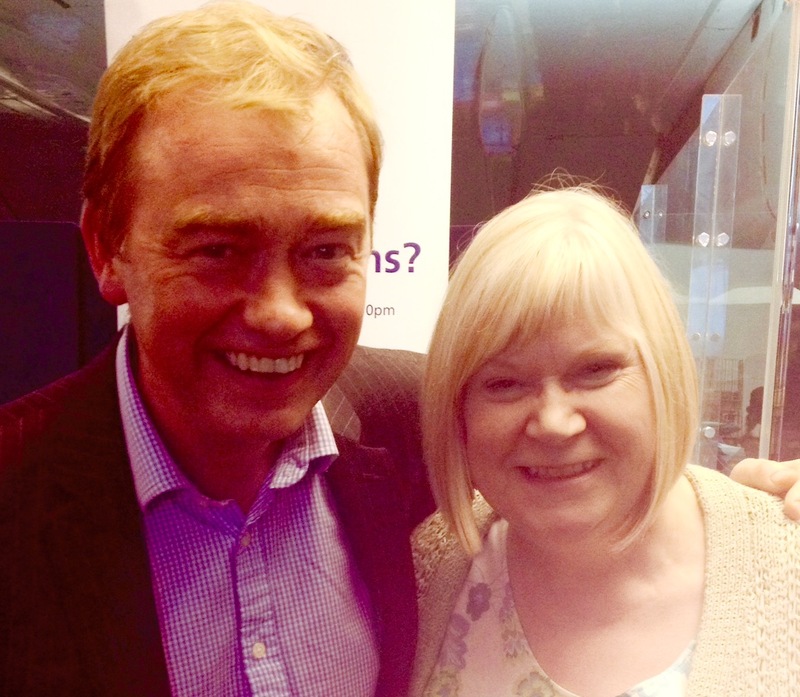 Well…apart from being Pride of Tameside Business of the Year and having a string of accolades under their belts including ‘Going the Extra Mile Award’ the family run business owned by Derek and Jan Lord have certainly turned their business and lives around since first appearing on ‘The Fixer’ in 2012. 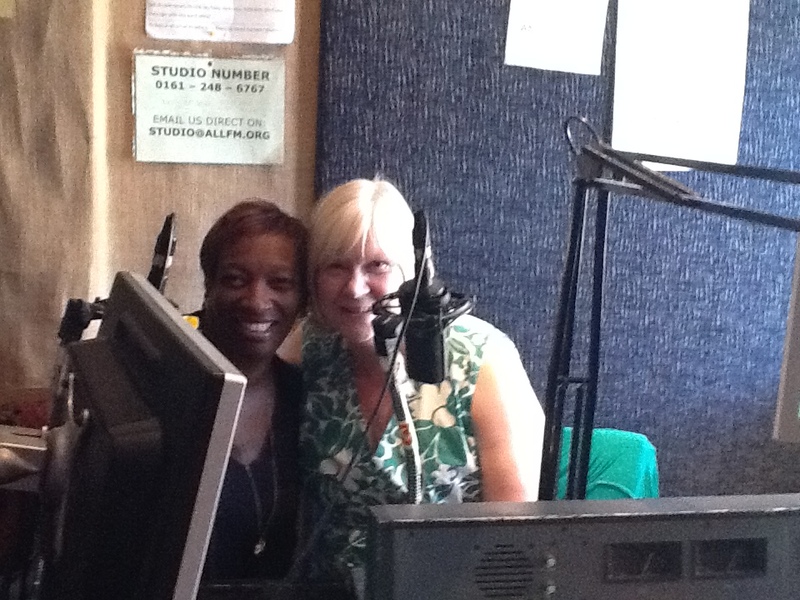 Nearly 3 years on and the business has successfully grown and are constantly going from strength to strength. Apart from the inevitable changes to the garage – they now look after and maintain fleets, the family members have also changed beyond recognition. Adam Lord the young mischievous 24 year old back in 2012 is now the Sales Director and takes more pride in his appearance than ever before. A frequent visitor to the local gym Adam’s well-toned physique is a perfect match to his new role that he has embraced with enthusiasm and gusto. In fact he is a charmer in more ways than one and his business sense has been proven with the influx of sales that have elevated the garage to new heights. Eldest son Gareth is content with his role as the steadfast Mechanic, Nicola has embraced her role as General Manager and is now virtually running the operations side of the business single handily. Although she would be the first one to admit she is only doing what comes naturally, anyone who knows Nikki would testify she is tenacious and her leadership and management skills shine through to ensure everything is kept in order – especially ‘the boys’. So second time around and the family were featured on ‘The Fixer’ revisited. A lot has happened to the ‘Lords’ since the original viewing. Jan lost her dear mum to Pancreatic Cancer but true to her word and her mother’s greatest wish she is intent on raising awareness about the terrible disease shortly she will be holding the annual Purple Ball of Hope to raise vital funds for research and she hopes to raise over £7,000 to beat 2014 figure of £6500. Knowing Jan who throws her heart and soul into anything she does – it will be achieved, along with a little help from her army of friends. So there we are… Guide Bridge MOT & Service Centre – soon to become The Guide Bridge Group. And what of the future for the Lord family…. Well, Jan and Derek are taking things a little easier as they slowly exit into semi-retirement , content in knowing that Guide Bridge MOT & Service Centre are in safe hands with their children. A small family garage who all have big hearts and have proven against all the odds they can pick themselves up and go from strength to strength. Have they fixed it – we think they have. The MHA Awards Ball is a key event in the industry diary, usually held at the end of October, which allows the hoteliers to let their hair down and recognise and reward the ‘unsung heroes’. The event is attended by, not only the Hoteliers, but local attractions, restaurants, museums and galleries within the city. Last year has to be one of the most successful MHA Awards Balls thus far, in terms of the amount raised for the Industry Charity; Hospitality Action (approx. 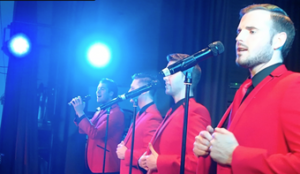 £35K), the number of guests attending (700) to the extensive and enjoyable live entertainment. Not forgetting all the wonderful sponsors, without whom, the event could not take place. The overall planning of the Ball begins around February, with the committee assembling to discuss the venue and theme, improvements on previous years, charity nominations and sponsorship interest. From our point of view, the key and most enjoyable part of this event is meeting the candidates. We receive nominations from all the contributing hotels within the MHA, which include 1000 word citations from which we shortlist four ‘Employee of the Year’ finalists for each category namely: New Star, Front of House, Back of House, Outstanding Personal Contribution, Green Passion and the most prestigious award the Howard Raynor Lifetime Achiever – this award is given in memory of a remarkable man who founded World Class Service and left us with a legacy in the pursuit of service excellence in our fine City. The interviewing process is supported by The Manchester College and Sponsorship Judges and takes place over two extremely long yet worthwhile days. It is heart-warming to meet people who have chosen to dedicate their lives to this remarkable and competitive industry, all of whom show great passion for their work and to be recognised for their achievements is extremely rewarding for all. After reviewing their citations and following a 30 minute interview, the judges make their decisions on the winners – this is the most difficult part of the whole process – they are all winners! On the night, the Awards are held after the meal, so the atmosphere is filled with nerves and excitement. Presentations are made, highlighting each winner‘s achievements, prior to the Sponsor announcing the Award Winner. The surprised and rightfully proud winner makes their way to the stage accompanied by huge cheers from their respective hotels. The winners receive a specially commissioned and printed Villeroy & Boch Plate (with a duplicate for the winning Hotel), a Dinner, Bed & Breakfast Voucher for one of the top Hotels in Manchester and a Gold World Class Service Pin; they also become ‘Ambassadors’ for the industry for the coming year. There is also a great deal of press coverage after the event which gets circulated to the appropriate hotel and passed on to the Winners. The Finalists and Winners List is also displayed on the MHA Website and the World Class Service websites for 12 months. 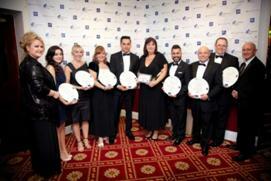 World Class Service has been involved with the Manchester Hoteliers Association Annual Awards Ball for eight years as both a committee member and the Awards Host. With a passion for service excellence delivery, not only within the Hospitality Industry, World Class Service work with individuals and organisations, providing training and a tool to help them measure and improve continuity in excellent customer service standards.